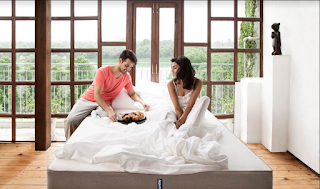 STARFRIDAY : Choosing a Latex Mattress – Don’t Lose Sleep Over It! Choosing a Latex Mattress – Don’t Lose Sleep Over It! Does your mattress really affect your quality of sleep? According to a study by Research Triangle International and Drs. Andy Krystal and Jack Edinger from Duke University, and a research of over 16,000 sleep nights and 128 subjects, the answer is an affirmative yes. Even small differences in mattress support (soft, medium, firm) correlated with changes in sleep and pain. This is a clear indication that mattresses really do matter. What is a True Latex Mattress? Let’s clear the first level of confusion – a real latex mattress is made up of just latex foam and has no springs and no other foams. The support comes from the latex core that is built into the mattress during its construction. This core is a firm base and is set between the 6-8 inches thickness of the mattress. While some mattresses are made up of just the core, others are constructed with several thinner layers of latex that are placed above the core. These multiple layers can range from one to 6 or more inches in terms of thickness. Your latex mattress may have an additional one-inch cover that is cotton or wool-based. Latex mattresses are often the choice for those with orthopaedic or back related issues –for better support. In fact, WebMD says that 2-10% of people who suffer from lower back ache end up with chronic back aches in the long run. Latex mattresses have a system of firmness for its core. This is called indentation load deflection (ILD). This is a reference to the specific number of pounds or kilos required to compress 25% foam. Lower the numbers softer the foams and vice versa. Latex mattress cores generally are in the firm to super firm categories. The upper layers range from being very soft to firm resulting in different feels. When making the choice, it is to take into consideration the levels of softness of all layers and the resultant firmness. Once you have determined this, choosing between a 6 inch or 8 inch mattress, with or without memory foam will be easier. And the final aspect to consider is the cover material it comes with. Its breathability, durability as well as its flexibility are things you have to take into consideration. Cotton and wool are natural fibres and therefore good at wicking or pulling moisture away from the body into the mattress. The advantage here is the breathability of your mattress. The mattress cover should also be of the kind that can stretch along with the latex foam. This enhances the longevity of your latex mattresses to more than 10 to 15 year. 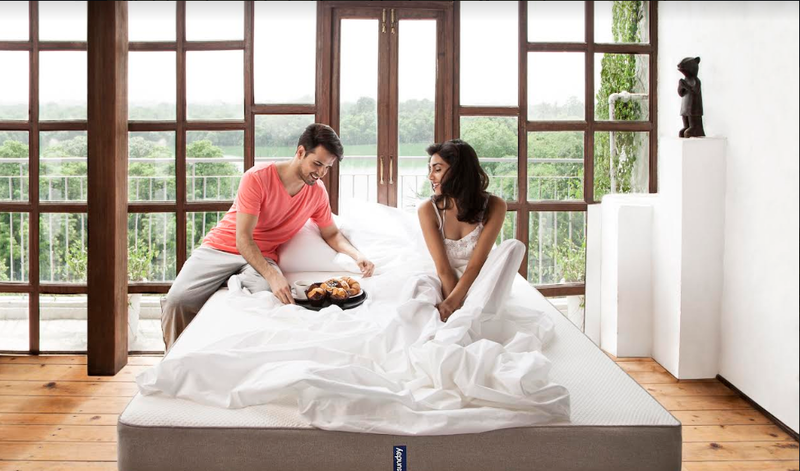 Owners of all latex mattresses have enjoyed their mattress for an average of 12-20 years! The cover materials you need to look out for are cotton and wool. If you have the option of going in for certified cotton or wool, nothing like it. Determine the quality of the latex. Look for certification. Look into the construction of the mattress. Ask your sales person to walk you through. Determine the thickness best suited to your needs. 6 and 8 inch options are standard. Determine the mattress cover material that will be provided.